Perceived Value - Our Customers love the freedom of choice and individuality that enables them to create their own unique meal. In their eyes, they own the grill. The concept of “I made my meal, this is my creation” gives our customers a sense of pride and ownership. It’s a sense of entitlement that’s often missing in most dining experiences. It’s clean, creative, family fun offering a sense of adventure. With an explorer’s curiosity to discover an exciting new treasure, our loyal customers are thrilled to share their new discovery‘ with family and friends. Great Value – Our prices target the value–minded family. Our customers work hard for their money and we respect their quest for value. A restaurant meal for a family of four does not need to break the bank to provide a healthy and fulfilling dining experience.A feast that is Affordable… now that’s what we call Great Value! PotentialMarket Niche Specialization is the key to Attila Mongolian Grill’s success and profitability. Limited competition within the Mongolian food genre, keeps Attila Mongolian Grill at the top of the casual dining market in consumer positioning. Limited competition and market saturation give Attila Mongolian Grill unlimited growth potential. Our product specialization and buffet style concept help to reduce our labor and inventory cost. This enables Attila Mongolian Grill to deliver great returns on your investment from excellent unit economics and above average restaurant sales volume. 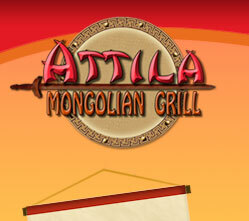 Attila Mongolian Grill’s unique positioning and distinct concept allows us to stand out from the crowd. 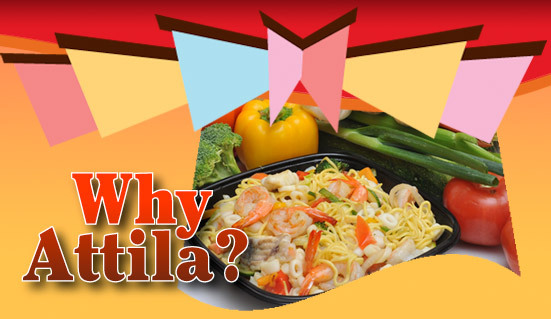 With our focus on specialization, doing one thing and doing it very well, Attila Mongolian Grill creates its own unique niche within the casual dining restaurant segment. Because of our high level of customer interactivity, our customers control their own individual pace of dining. Our efficient business model requires minimum staff to serve our customers, while ensuring the high quality of our food in a unique dining experience. This in turn helps to reduce the variable labor cost associated with full service restaurants.Our Restaurants are designed to address the ergonomics of the efficient customer flow from the beginning to the end. The natural transitions from our produce bar to the grill preparation area, creates a seamless flow in order to facilitate constant movement and customer interaction.In high traffic retail locations, or at peak rush hour periods, our Master Grillers operating at full capacity have the ability to turn out anywhere from 50 to 75 plates per hour. Although most potential restaurant locations don’t have that kind of constant volume or customer traffic, property managers can rest assured that Attila’s Mongolian Grill can design kitchen specifications to meet or exceed any potential volume concerns associated with high traffic locations.